This weekend was epic. We had a yard sale on Saturday morning that was fairly successful. I got rid of a ton of junk, and the rest we took to donate. All in all, the sale was us, my neighbors, and two friends. There was A LOT to sell. Our friend Benfer brought some axing stuff to sell. Fist of all, he brought 6 swords… Three of which ended up coming home with us SMH. 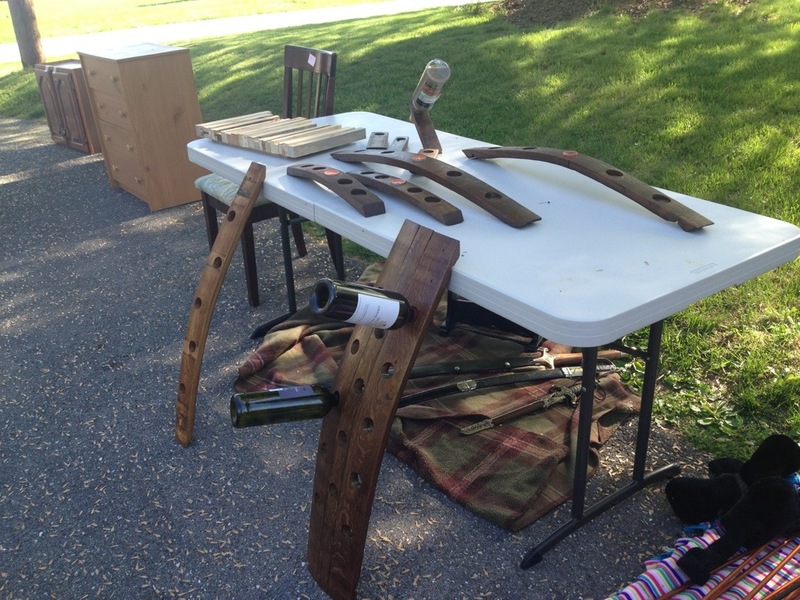 He also brought a bunch of his wine barrel stave creations, including candle holders, wine holders and wine racks. It was pretty incredible all of the things he’s made. 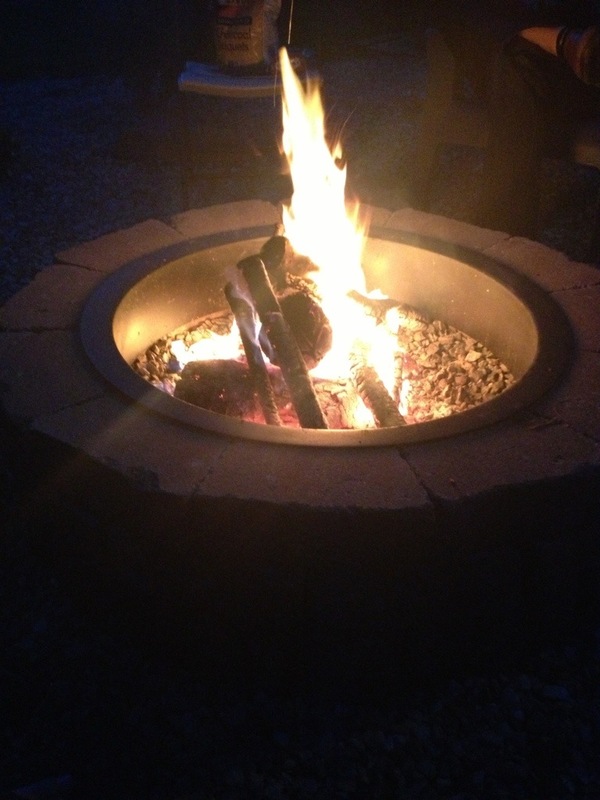 After the yard sale, we headed to the neighbors’ house for s’mores on the bonfire. Deliciousssss! We stayed pretty mug all night an had a great time. 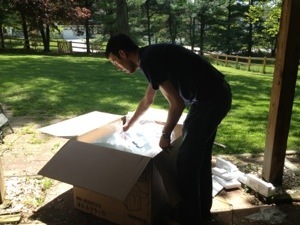 Sunday we bought a grill (finally), and the hubby and I assembled it that afternoon. 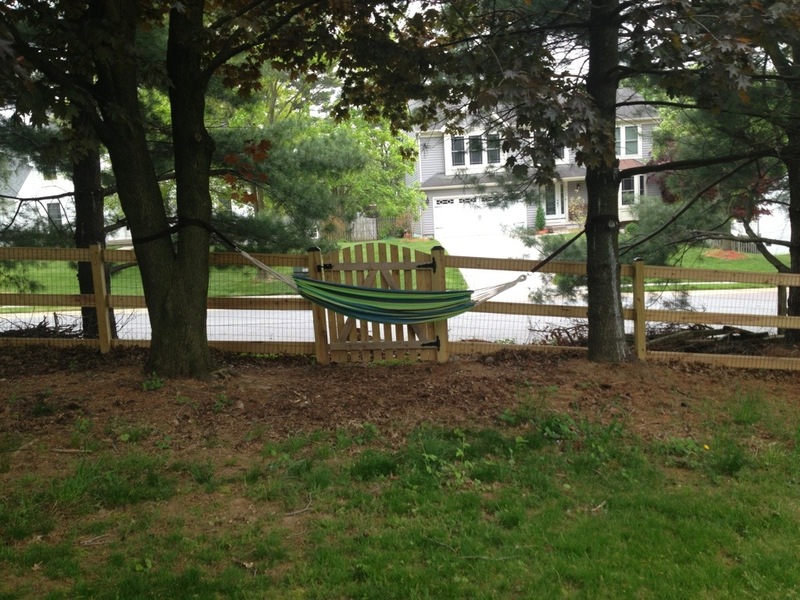 Once we were finished, I put up a hammock in our backyard, courtesy of our friend Beth. It is amazing and I love it. Basically, this weekend was awesome. 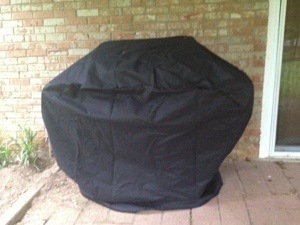 Next weekend we’ll be busy with Mother’s Day celebrations — guess who will be grilling for dinner!? !